The decision to make pre-planning burial arrangements is one of the most important steps to protect your family and their financial stability, should you pass. 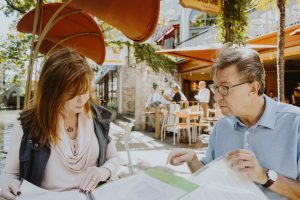 You may ask, “Why should I make p re-planning arrangements now?” Did you know that there are over 49 decisions that must be made within two or three days after someone passes? At that time, when families are dealing with the loss, it is very difficult to make the most rational decisions. 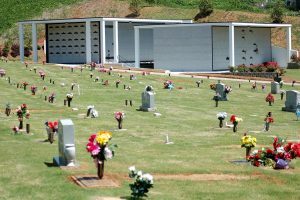 Without pre-planning, the escalating cost of burial arrangements may become a financial burden for family and friends. Life insurance is designed to protect your family from the immediate loss of your income, but pre-planning with South-View will protect your family from the inflation of burial costs that may take the bulk of the insurance benefit that was intended for your family. Pre-planning allows you to select a burial space and pay for it in advance at today’s prices to protect your loved ones during an emotional time. Planning ahead can provide peace of mind, eliminate family disputes, confirm your personal plans, and secure your savings. To ensure your selection has been reserved for you or your loved one, a deed is provided to finalize the process. Surrounded by over 100 acres of beautiful manicured land, South-View Cemetery has a variety of interment options including private estates, mausoleum crypts for entombment, niches for cremains, and peaceful gardens for traditional in-ground burials. A private estate, a custom, single family mausoleum, is designed to your specifications to provide a permanent testimonial to your life and legacy. The garden mausoleum is available as a single or tandem/companion crypt space or a niche to memorialize a loved one that has been cremated. A traditional in-ground burial can be selected from multiple gardens throughout the cemetery with space that will be available for many years to come. Allow the caring counselors at South-View to help identify pre-need burial options with payment terms that fit your financial needs. Our seasoned counselors are committed to being a supportive resource. We will explain all available options and help you make informed decisions before making a selection. Schedule a meeting with a Family Service Planning Specialist at South-View to discuss your pre-planning arrangements and receive a Free Memorial Planning Guide. Call 404.622.5393 or email info@southviewcemetery.com. Thank you for choosing South-View Cemetery for your family’s needs!